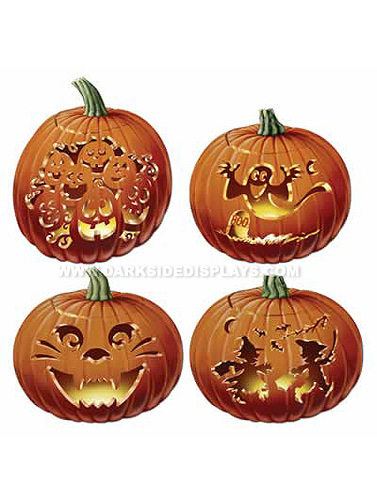 These no mess jack-o-lantern cut-outs are the next best thing to real carved pumpkins. Vibrant images printed on both sides of die-cut paper cut-out. Set of four, each measures 14"H.